The Noviteitenshow (novelty show) is a regular feature of the Nationale Zilverdag (National Silver-day) in the town of Schoonhoven. 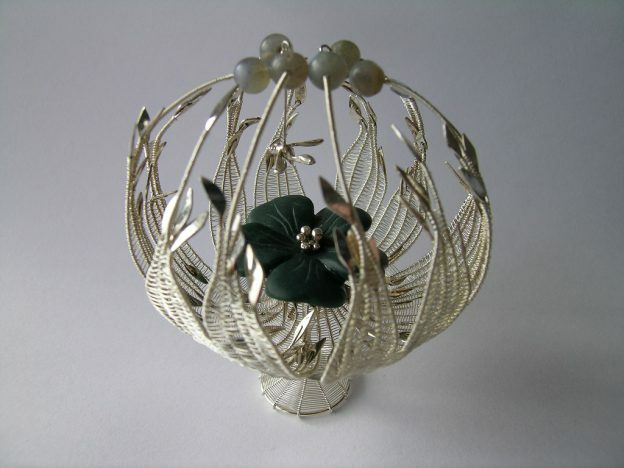 Exhibited are inovative jewelry and objects made by gold- and silversmith in the past year. The public votes for the contribution, they think is the best. This entry was posted in Exhibitions on 13-06-2011 by Janjaap.